This is a meal I have been making over and over again at the moment. Possibly because I have been missing India lately, but also because dahl is a real hug from the inside. It's so simple to make, so delicious, so nutritious, you can make a big batch of it, take it to work, freeze it - it's one of my basics and I can now make this with my eyes closed. 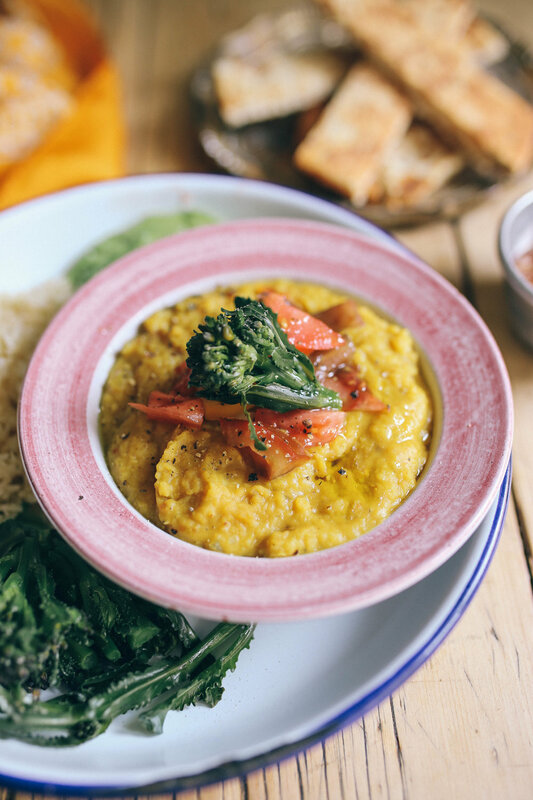 You can easily double up the recipe and freeze half of it, it's also the perfect easy go-to meal I make when we have guests, I serve it up in pretty bowls with fragrant basmati rice, steamed kale or broccoli, slices of avocado if I have it on hand, warm garlic naan bread, a selection of chutneys and coconut yoghurt to add on top. It's seriously one of my favourite things to eat, it's so simple and makes me feel good. 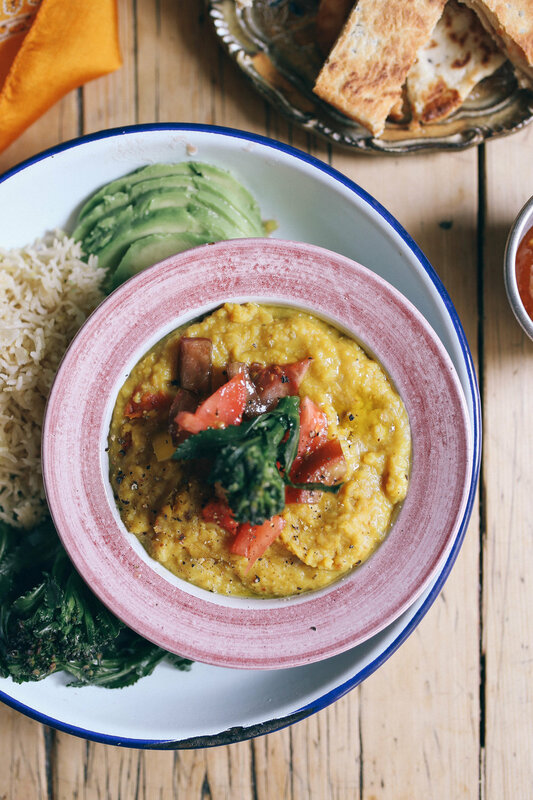 It's going to be the perfect meal for this autumn and winter, when everything is cold & grey, dahl is a bowl of sunshine. - salt & pepper to taste! - In a large pot over medium heat, add in the coconut oil. Then add in your onions to soften, cook for 5 minutes of until translucent. - Add in the garlic and the fresh ginger, cook for a couple more minutes. - Then add in all your spices (curry powder, coriander, turmeric, cumin, cinnamon, nutmeg, chilli powder) stir for a minute or so, if it starts sticking to the pan add in a little bit of coconut oil. - Add in your washed lentils and tomatoes, stir in for a couple of minutes until everything is fully coated. - Add in 5 cups of stock. Simmer on a low heat for about 20 to 30 minutes or until the lentils are cooked and it all starts to thicken. Stir in occasionally, and add a little stock if it dries up too much.